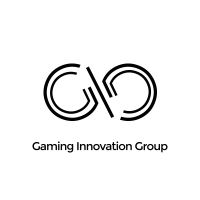 Gaming Innovation Group Enters Lottery Vertical With MegaLotto Deal! GiG has entered a brand new betting vertical thanks to Optimizer invest who owns a significant share of both companies! In brief, the technology provider has inked a deal with the MegaLotto brand. To sum up, GiG will supply its platform solution and games to the new Lottery website. The new start-up will offer to bet on the outcome of many national lotteries. And to add, the joint project will launch in the summer of 2019. In essence, the Optimizer Invest group is behind the planned new MegaLotto site. And with this move, GiG will now finally join the lotto betting vertical, too. Besides, GiG will also supply its best casino games to complete the offer of the new brand. On top of that, the MegaLotto brand plans to launch in various big international markets at the same time. The financial impact of the project will, of course, not show this year. Still, both companies believe they’re taking the right step for their future. “We’re very excited to launch MegaLotto with GiG. This is an important project. We’re confident GiG is the right partner for us. A partner to grow this business into a big player in the industry” claimed Optimizer Invest CEO Petter Moldenius. In a similar tone, GiG’s CCO Ben Clemes was also delighted by the new deal. “This deal adds further growth potential for us by entering the Lottery vertical. We share the same ambitions of fun, fair, responsible and innovative user experience. GiG covers all the verticals in gaming. By adding lottery to our games vertical, we’re strengthening our advantage as a global full-service provider,” he added. GiG is a leading technology provider. It works with many players in the gaming industry including InstaCasino and Cashmio to name a few. Since 2012, it managed to create premium player experiences. GiG does so by to connecting popular brands and operators. Entering the lottery vertical is a brand new venture for the company. In the past, GiG showed it could turn new products into success. And so, both partners involved believe the story will repeat now with Lotto.